WhatsApp, one of my favourite cross-platform messaging apps for the iPhone has achieved a significant milestone–over 1 billion messages sent in ONE day. Just how much is 1 billion messages? That is 41,666,667 messages an hour, 694,444 messages a minute, and 11,574 messages a second. That is a significant milestone, and is not hard to believe considering the ease of use of WhatsApp and its availability for multiple smartphone platforms. WhatsApp was one of the first ‘free’ messaging apps for iOS that included the ability to send video, voice memos, pictures, share location, and more. Earlier this year in February, group chat was introduced. In the past, iPhoneinCanada.ca worked with WhatsApp to help fix a bug where the app was inoperable over 3G on Rogers/Fido. Even with the launch of iMessage in iOS 5, WhatsApp is still one of the few ways people can communicate with friends on a Blackberry, Android, or Nokia smartphone. 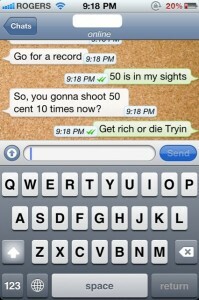 For my contacts that haven’t updated to iOS 5 yet, WhatsApp remains the ‘free’ method for us to communicate. Are you still using WhatsApp alongside iMessage? 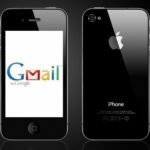 Native Gmail iPhone App Coming Soon, Submitted to Apple for Review?